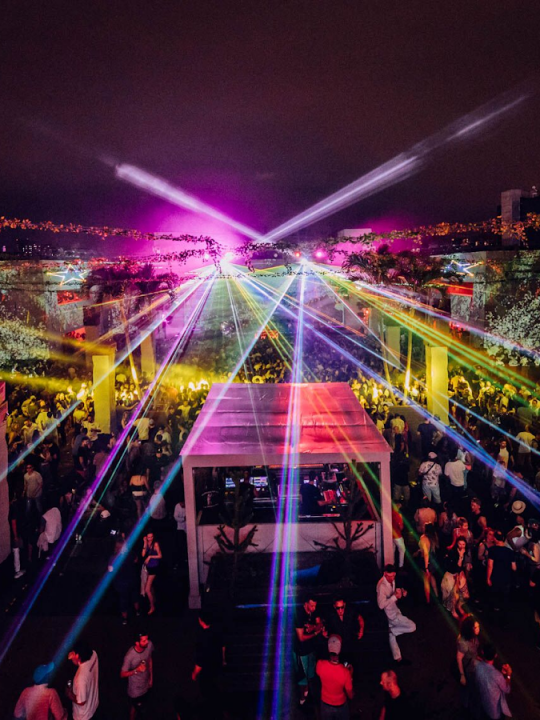 It’s almost that time again – CRSSD Festival Spring 2018 is just a few short sleeps away. It’s sure to be a can’t-miss weekend in San Diego and people can hardly contain their excitement. With a lineup this stacked, it’s hard to decide who to sift through who you’ve seen, who you’ve been dying to see, and who you may have never even heard of. Have no fear – your top ten taste of CRSSD 2018 playlist is here! This is the perfect example of a house track that hits it out of the park in terms of vibe and energy. The piano in the background makes it a little melodic while the bass line underneath keeps it light and bouncy making it the perfect track to use when reminiscing about the weekend you’re about to have. Tchami is ready to bring the heat to Waterfront Park this weekend, and you’ll be sure to hear at least a few tracks of his latest EP, Revelations. This track in particular is sure to have you spellbound – Tchami puts a neat little twist on his signature future house sound, and with the help of Taiki Nulight, creates quite the banger. SNBRN is bringing the house work to the Ocean View stage, and this song is the perfect way to transport you there. A cool, breezy house track that’ll have your feet itching for the nearest dance floor. Nora En Pure is known for her melodic but mesmerizing deep house, and this track is no exemption. You can almost feel the energy of the crowd around you, swaying to every beat, embracing the beauty in each melody. Hold onto your hats ladies and gentlemen, Cirez D – aka the techno alias for Eric Prydz – is ready to turn the City Steps stage upside down. This track gives you a small idea of just what you’re in for – some deep, dark, banging techno. A staple in the techno scene and a force to be reckoned with, Nicole Moudaber has traveled all over the world, bringing her brand of MOODZONE techno to the forefront of the underground. The pulsing beats and subtle bongo drums in this track puts you into the mood, and so will Nicole this weekend. While she is a relatively new face in the scene, Charlotte De Witte has proved herself behind the decks in the studio. She’ll be introducing many to her sublime taste in techno for the first time at CRSSD weekend and this track is the perfect way to warm you up for the madness. Tech house duo CamelPhat took the world by storm with their track “Cola”, which you will no doubt hear at CRSSD this weekend. But they have tons of other slamming tracks – one of them being Bugged Out, which has me moving and grooving as sit here writing this. Keep your ears peeled for when the full track is released. Known for getting the party started wherever she goes, Anna Lunoe is no stranger to creating hype. This track perfectly en-captures the high energy she emits in every one of her sets. She will no doubt have everyone at The Palms jumping. Jai Wolf puts everything he’s got into his music – every emotion, every feeling can be felt throughout each and every track. This one is no different – a vibe-filled treat that will send chills through you, throw you down nostalgia lane, and bring tears of happiness to your eyes. Beyond excited to see what he brings to the Ocean View stage. This is a small taste of what’s to come this weekend. For the full lineup, click here. CRSSD Festival is this weekend, March 3 + 4, 2018, at Waterfront Park in San Diego, CA. Tickets are sold out.